Sign up for free and just shop with eBay UK as normal. Our members earned £60,000+ at eBay UK in the past month. Up to £50 maximum cashback per transaction. If anything from within a basket is unpaid or returned, the cashback for the whole basket will be declined. Payment of cashback will not be made on unpaid items with eBay, and persistent offending will result in termination of your TopCashback membership and forfeiture of all earnings. The cashback rate you will receive will be the cashback rate live at the time you complete your purchase and pay for your item, not the cashback rate that may have been live at the time of bidding. Cashback is only paid on legitimate transactions. Cashback can only be earned on purchases over £1. Cashback is only paid on legitimate Winning Bid or "Buy It Now" transactions. Cashback is not available on bids placed with a sniping service/tool. eBay UK Cashback is available through TopCashback on genuine, tracked transactions completed immediately and wholly online. Please do not lodge any missing cashback claims until the auction has been completed and the payment taken for the winning bid. Transaction may track at a lower rate, but will uplift once the transaction is confirmed by the merchant. To qualify for cashback the purchase must be made within 24hrs of clicking through from TopCashback. We are not able to accept claims on cash on collection style auctions. PayPal is the safest way for us to investigate a claim in the highly unlikely event of your cashback not tracking. When lodging a missing cashback claim, the claims team may ask for the confirmation email sent by ebay when the transaction is completed. Become part of the world's largest online marketplace, where you can buy and sell pretty much anything, and save money when you make a purchase thanks to our eBay discount codes and cashback deals. Trade in everything from electronics, fashion and collectibles to sporting goods, jewellery and home & garden products, while you can also view eBay daily deals and special offers. You are also able to keep track of your bids, purchase history, watch list and searches in your eBay summary. You can buy and sell almost anything on the online auction website, from toner cartridges and printer ink cartridges to women's handbags and toys. Discover great deals if you are looking for an Xbox One console or Epson all-in-one printer, or if you are in the market for Panasonic digital cameras or laptop computers. Sign up to TopCashback using the form you will find at the bottom of this page and you can use our money saving eBay voucher codes and cashback deals when shopping for MAC health & beauty items or clothing from leading brands like Puma, Superdry and Emporio Armani. Join today and save on Nike and Adidas sports equipment, Dyson, Bosch and Black & Decker kitchen appliances and tools, Apple iPhone and Samsung mobile phones or Toshiba televisions which are being sold by eBay shops and individual sellers. With a host of products from a vast variety of sellers you’ll find offers and deals all over eBay, but if you’re looking for a hand, then alongside gaining cashback you’ll find a few more useful ways to make saving easier. If you want to browse the latest offers be sure to check out the often-missed eBay home page. It’s here where you can find out about the latest promotions on various product categories, and navigating through to the dedicated featured sales and events sections will allow you to view even more cut-prices on popular top brands. For a selection of the best low-priced items be sure to check out eBay’s deals section where you can browse trending and featured bargains as well as the spotlight deal which is the best of the best. One tip not to forget is that you can shop a whole host of used and refurbished goods allowing you to get things for way under their new price. Savvier shoppers use eBay’s saved searches feature to enable them to get email alerts when a chosen item is put up for sale or auction; these notifications make it far easier to catch things at the best possible price. You may also discover that auctions can be one of the best ways to secure great prices; however it’s important not to get carried away when bidding as you could potentially pay more than the item is worth. Finally, an additional bonus saving can be had for all Nectar point cardholders, where £1 spend nets you one point. Look out for bonus events as they will secure you more points, and when you’ve collected enough, you’ll be able to spend them on eBay too. If the item does not arrive, or is not how it was described in the listing, their Money Back Guarantee means they will either make sure you get what you purchased or will refund you the purchase price and original postage costs if you paid using PayPal. Should you encounter a problem with something you buy, you will need to contact the seller within 30 days of the delivery date, or estimated delivery date if it has not arrived, via My eBay and, in the majority of cases, they will resolve the issue. However, if, after eight days, the issue remains unresolved, contact eBay and they will help. They will get back to you within 48 hours and, in cases where you have not received your order, will refund you via PayPal. The Money Back Guarantee covers 99% of listings on ebay.co.uk when you pay with PayPal. If you paid as a PayPal guest, you cannot use this process, although you will still be covered by PayPal Protection, while you will also need a PayPal account to make use of the eBay Resolution Centre. Download the eBay online auction site app for your iOS or Android device from the App Store or Google Play and do your online shopping on the go. Not only will you be able to sell your items wherever you are, but you will also be able to shop online by bidding and buying, while you will receive alerts when an auction ends, when you are sent a message or when you are outbid. Use eBay's new personalised search, while you can also view recommendations which will be based on your search history. List your items in minutes and sell them no matter where you are, while you will be able to see when shoppers view, watch, bid on or message you about the things you are selling. If you are buying on the app, you can search for the best deals, bid on auctions or use Buy it now. Follow your favourite searches and sellers, create a watch list to share with family and friends and track items before or after you bid. The app will also allow you to track packages, leave feedback, respond to messages and report and resolve issues with your order, while you can set up a store page instantly with the barcode scanner. Do some research about the item you are selling to help you determine the starting price, listing format and the category you want to list it in. Set up your Q&A as buyers often have questions about an item using the ‘Ask a question’ link in your listing. 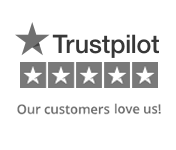 Communicate with the buyer when your item sells and leave them feedback. To check if eBay is down, you can visit downdetector.co.uk/problems/ebay for a real-time overview of any problems the website is encountering, while you will also be able to view a current outage map. How Do I Cancel A Bid? While you should not generally cancel bids, there are some reasons you should need to do this. To do so: (1) go to ‘Cancelling bids placed on your listing’; (2) enter the item number, user name of the member whose bid you are cancelling and the reason; and (3) Click ‘cancel bid’. How Do I Retract A Bid? If you wish to retract a bid, you should (1) view the conditions and restrictions for doing so in an auction-style listing; (2) fill out a ‘Bid Retraction’ if you feel you have a valid reason for cancelling a bid, or ‘Best Offer Cancellation’ if you want to cancel a best offer; and (3) contact the seller if you won an item and no longer want to buy it. How Do I Delete My Ebay Account? Ensure all of your fees have been paid and your account balance is zero, then submit a request to close your account, although you will not be able to do this if you have made any transactions within the last 30 days. If you do this, you will not be able to reopen your account with the same user ID or email address. If you cannot find the information you need in their help section, you can contact eBay customer service by (1) selecting ‘Contact Us’, (2) choosing a topic you need some help with and (3) picking a contact option or use the one provided. While you can sell almost anything on eBay, there are certain items which sell better than others. These include clothing, jewellery and watches, tech items like mobile phones and tablets, toys and video games, cycling products and antique furniture. 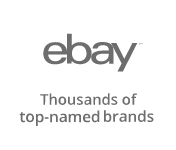 eBay connect millions of buyers and sellers around the world and allows them to trade with each other via their online platform. No matter what you are looking to buy or sell, you will probably find it on eBay as their mission is to be the world’s favourite destination for discovering value and choice. How Much Are Ebay Fees? Sellers are charged when they create a listing - although they receive a number of free listings per month - based on the starting or reserve price, listing format and category. You will also be charged when your item sells, based on what the buyer paid, while there are additional fees for things like listings upgrades. If you do not receive an item or it is not as described, you should contact the seller to try and resolve the issue. If you are not able to do so, you can open a case via ‘My eBay’ and they will step in and try to solve the problem. You will be able to track the progress of your request and will be notified of a solution. How Do I Set Up An Ebay Account? It is free, quick and easy to set up an eBay account by visiting their registration page and entering your details. However, you should be aware that you (1) need to be over 18 to buy or sell on eBay, (2) will have to provide an email address and phone number which you are able to access so they can confirm it is real and (3) will need a PayPal account.